← Queen – Bring Back That Leroy Brown. 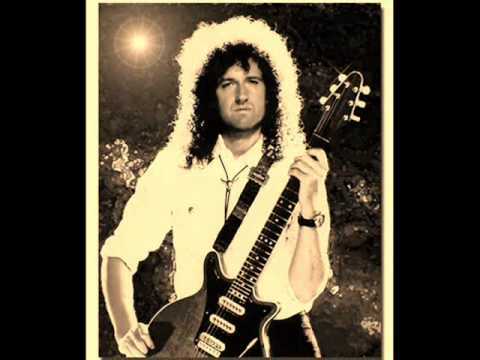 Queen – She Makes Me. Publicat pe 14 iunie 2015	de Cristi M.
Queen’s popularity was stimulated in the United States when „Bohemian Rhapsody” was featured in the 1992 comedy film Wayne’s World. Its inclusion helped the song reach number two on the Billboard Hot 100 for five weeks in 1992 (it remained in the Hot 100 for over 40 weeks), and won the band an MTV Award at the 1992 MTV Video Music Awards. The compilation album Classic Queen also reached number four on the Billboard 200, and is certified three times platinum in the US. Wayne’s World footage was used to make a new music video for „Bohemian Rhapsody”, with which the band and management were delighted. On 20 April 1992, The Freddie Mercury Tribute Concert was held at London’s Wembley Stadium to a 72,000-strong crowd. Performers, including Def Leppard, Robert Plant,Guns N’ Roses, Elton John, David Bowie, George Michael, Annie Lennox, Seal, Extreme, and Metallica performed various Queen songs along with the three remaining Queen members (and Spike Edney.) The concert is listed in the Guinness Book of Records as „The largest rock star benefit concert”, as it was televised to over 1.2 billion viewers worldwide, and raised over £20,000,000 for AIDS charities.